Includes our selection of current release wines plus Champagne and our Reserve Wines. Approximately 1 Hour. Includes a selection of current release wines plus Champagne and our Reserve Wines. Approximately 1 Hour. A selection of vineyard exclusive reserve wines paired with an array of cheeses and cured meats provided by Ottimo of Yountville. Approximately 2 Hours. 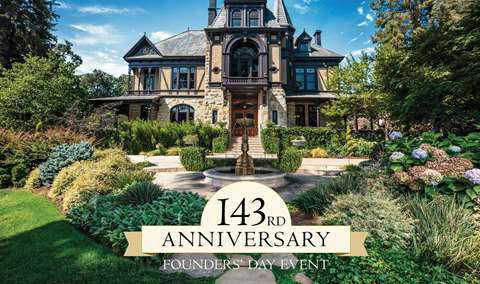 In this cab lover’s dream experience, enjoy the namesake flagship red wine Winston Hill, as well as our famous Patriarch Cabernet, our winery exclusive Owners Blend, and the iconic RHF Rutherford Cabernet. 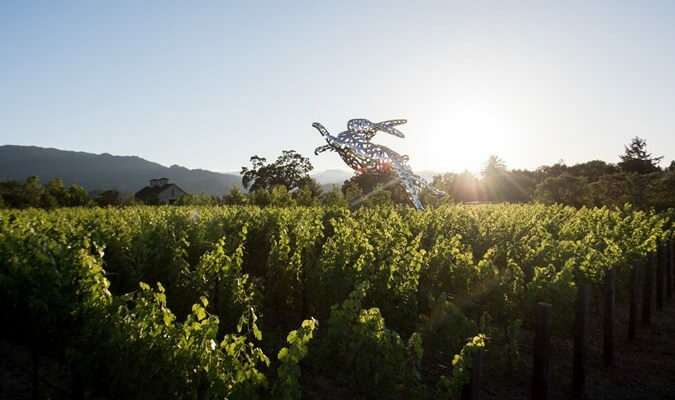 Frank Families Winston Hill Vineyards rises up the eastern slope of the Rutherford hillside 500 feet, producing Cabernet grapes that grow concentrated and powerful, due to the well- drained, rocky volcanic soil and the intense afternoon summer heat. Approximately 1.5 Hours. Frank Family Vineyards Winery at the Historic Original Stone Winery in Napa Valley. 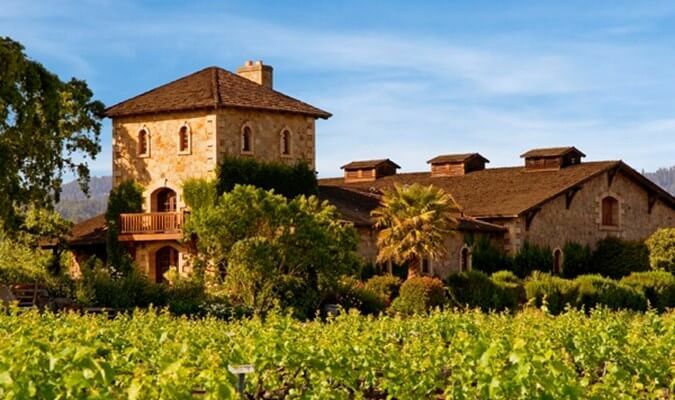 With over 380 acres of vineyards in Napa Valley and one of the most popular tasting rooms and word-of-mouth followings, Frank Family Vineyards is a must-stop for any wine lover. 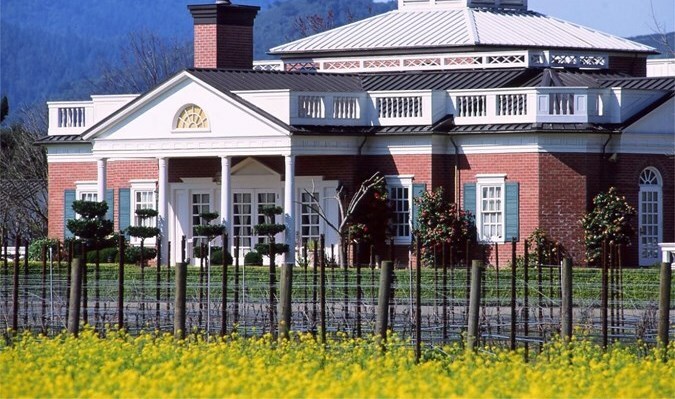 Former President of Disney Studios Rich Frank founded the winery in 1992 after purchasing a home in Rutherford, which would become his first estate vineyard, Winston Hill--also where he later proposed to his wife and fellow proprietor, Leslie Frank. Today, owners Rich and Leslie oversee all operations at the winery and have continued to expand and enhance the Frank Family Vineyards experience. 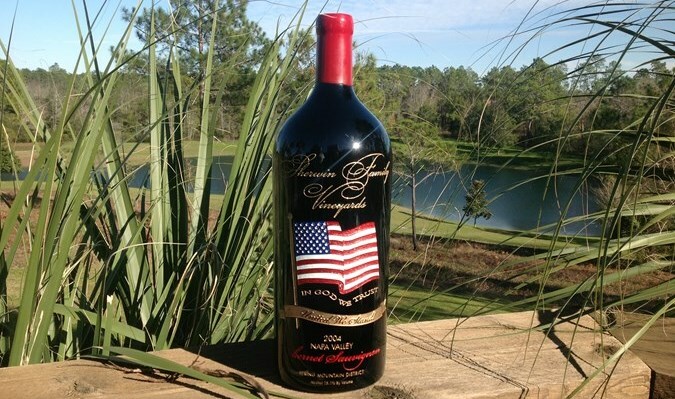 Frank Family produces premium Cabernet Sauvginons, Zinfandel, Petite Sirah, Sangiovese, Pinot Noir, Chardonnay, California Sparkling Wine, a late harvest Chardonnay and Port. Always jovial and often brimming with laughter, guests that visit the tasting room often find the experience refreshing in that the only focus at Frank Family Vineyards is wine and fun. The tasting room is consistently recognized by top national publications, wine tasters and aficionados across the board as one of the best in the country. 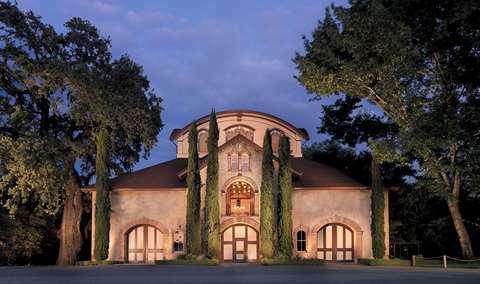 First constructed as the Larkmead Winery in 1884, the historic stone building on property was refinished with native sandstone from the nearby hills in 1906. 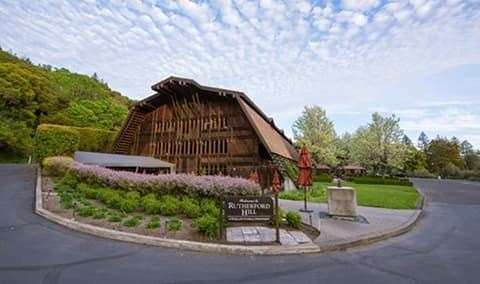 Considered one of the finest structures in the Napa Valley, the massive stone edifice appears on the National Register of Historical Places and is listed as a Point of Historical Interest in the state of California. Guests of the tasting room are welcome to picnic under the property's stately elm trees. 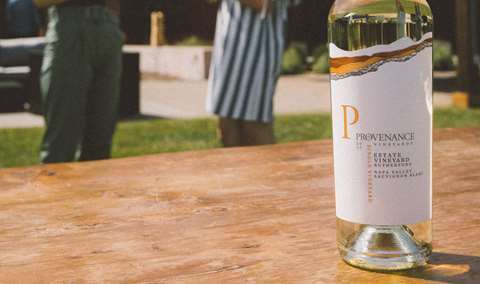 Frank Family’s wine club, the Founder’s Society, offers access to reserve wines, VIP tastings at the winery, along with annual events such as its ever-popular lobster feed. 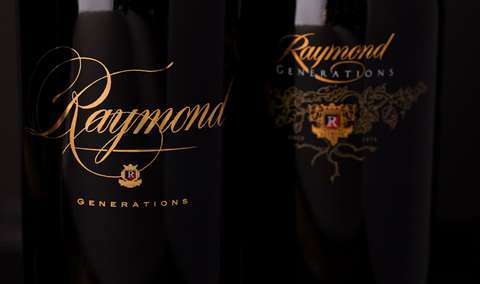 Winemaker Todd Graff has a myriad of estate vineyards with which to craft his blockbuster wines. I forgot his name, but the host was very knowledgeable about the wines, the history of Napa Valley and the winery specifically. After the wines, that is what I enjoyed most about the experience. The hospitality is amazing ! The staff is knowledgable and friendly.. the grounds are stunning and the wine is exceptional!!! Well worth the stop every single time ! One of our favorites by far!! It was my birthday and wine club pick up. I was with family and friends and we ALL had a great time. Everyone who took care of us was fantastic! Keep up the good work! Great hospitality and excellent wine! Always love our time at Franks!! The porch is just the perfect spot for an afternoon of tasting! The staff was extremely friendly and very helpful. Made the wine tasting experience wonderful. Beautiful experience. The back tasting porch was so much fun with a lovely view. We wanted to spend the entire day there! The wines are excellent and the tasting experience was great! Had a great experience with the employee that did our tasting! Her name was Phyllis i believe and she was a hoot and very helpful. We ended up sending several bottles back home and i am certain when those are gone we will be ordering more! So glad that we made the stop at Frank Family - I had heard great things about it so I wanted to make it part of our itinerary and so glad that we did! We had a thoroughly delightful time. We are reserve club members and we ador all the FrankFam events. We love picking up our wine, bringing friends and tasting such great wine. We loved Frank Family. Service was a bit slow as it was busy on the patio but overall excellent experience with wonderful wines and beautiful location. The elevated experience was amazing. Liam was wonderful. Best winery experience of the weekend. Mike makes you feel like you’re part of the family. The tastings and the stories are incredible. Wish we could spend all day there with Mike. Frank Family Vineyards has been a favorite winery to visit for their tastings. What a lot of people may not know is one of the best tastings you can have is a private tasting. 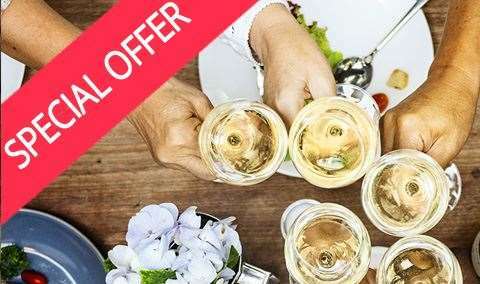 It's in a very intimate setting with your own group and is a great way to discover new wines, ask all the questions you'd like and enjoy a very unique experience. Next time you are in Napa, call ahead and reserve one. Great time, Antonio was wonderful (as always). Loved sharing stories of our 7 month old Grandson with he, his wife and little Emily. Frank Family is by appointment only so I was surprised to see the bar area so busy. There was only one person pouring the wine for the whole bar and he was so busy we had to wait an unusual amount of time between tastes. To top it off, they do not comp you the $40 tasting fee if you buy wine. I felt ripped off. We brought our lunch and enjoyed it at the picnic tables before tasting, very beautiful, peaceful area to enjoy lunch. We were seated promptly when our appointment time arrived and had the most pleasant server. I’m not sure but I think his name is Marcus, very nice, knowledgeable young man. He knew his wine, made sure our glasses were filled with next tasting when we were ready. Fun day! Incredible wine, but even more important, a stellar, informative, white glove private tasting experience. We'll be back! Monte our host was wonderful and very hospitable. Our tasting experience was fabulous as usual at Frank Family. 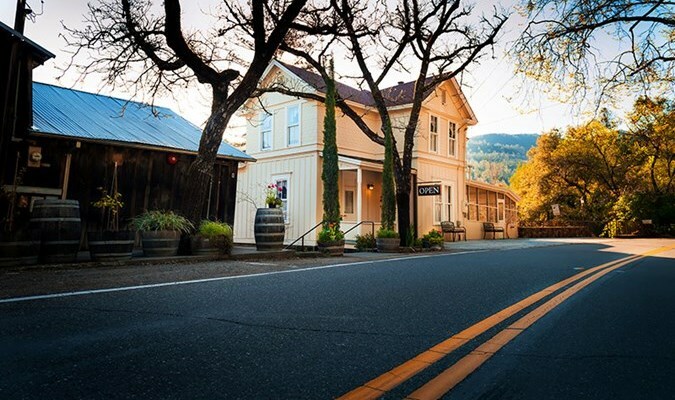 This is one of our favorite stops in Napa Valley. The winery is stunning. You start off checking in on their beautiful veranda style porch. Surrounded by beautiful trees, sculptures, plants and lawns. The service was amazing. We sat outside in the patio over looking the back side of the winery. The wine was excellent, each tasting was better than the first. We enjoyed learning about the winery and family. Highly recommend! We always feel welcomed at Frank Family Vineyards with care taken for the tasting experience, the conversations and the ambiance. We were blessed to have Mike as our host, and as always, we enjoyed seeing him again and experiencing the wonderful wines. We are arrived a bit early (@ 45 minutes) and were accomodated without a wait! It was a rainy Thursday and it was very quiet in the tasting room. Marcos was a gracious host explaining and sharing many facets of the wine business and specifically what he was pouring! We had a wonderful visit and look forward to future events at the Winery. I came to the winery with family and friends. I am a member and was excited to show them your winery. The experience was excellent-Liam was exceptional and he educated is on the winery and the region. My friends and I had an outstanding tasting at Frank's! Our server took exceptional care of us. The group enjoyed every wine and loved the tasting room ambiance! Beautiful grounds. Greeted promptly and politely. Very friendly and knowledgeable staff. We had the most wonderful, informative visit! Thank you so much! Carlos was the best! The most horrific experience, we love Frank Family wines. It was a complimentary tasting through the hotel. When we arrived there was confusion on where our tasting was as it was supposed to be on the undercover patio but because of rain they wanted us to do an hour tasting standing at the bar. Don't wait, VISIT this winery! If they had a six I would have given it a six! The venue is so welcoming. The outdoor patio was a great addition. Everyone makes you feel welcome. Of course, the wine is fabulous! 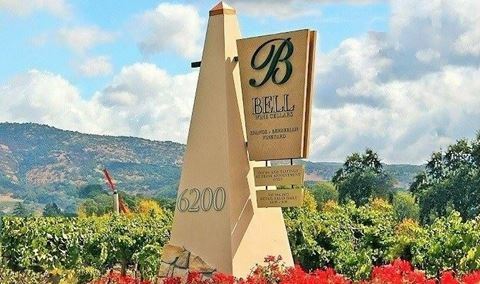 I have been there several times, it is always fun to meet other guest from other states, it is great to see this winery on the “must visit” list. Um....the best wine of our trip and visit to 9 vinyards. A true hidden Gem. Thank you Rene!!! We would have never known without you! We had a fabulous wine tasting with Zahava. We preregistered for the Reserve Tasting and got so much more! Zahava recognized that we knew something about wines and brought in several additional bottles for us to taste. We had a lot of fun and felt very welcomed. In the end, we, as well as my daughter and son-in-law, signed up for the club and ordered an additional case of wines that we tasted. Frank Family is always the highlight of any trip to the wine country. This time was no exception. Beautiful winery, wonderful wines, and friendly service. We’ll be back! Wonderful day visiting Frank Family. We are club members there and love it every time we visit. Thank you! Very good tasting selection. Very pleasant staff, warm and welcoming.